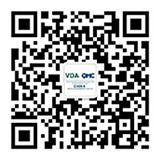 VDA QMC China will open its Gate4SPICE Workshop in Primus Hotel Shanghai Hongqiao on 23 May, 2018 (Wed.). Following is the latest workshop agenda(the sessions will be combined with the discussions), and please note that the language for the whole session will be English ONLY without translation service. There will be a certificate for participation if you complete 2 sign-up procedures for this workshop which can be used for your future EE3 application. This workshop is FREE for all attendees, please send your application to spice@vdachina.com.cn as soon as possible as we only have several seats open by now so can not gurantee everyone get a place by then. Prof. Dr. Bernd Hindel studied computer science in Erlangen and Green Bay (USA). After his doctorate at the University of Erlangen in 1991, he worked for the Central Research Department of Siemens in Erlangen. From 1995 to 2000 he was Managing Director of 3SOFT. In 2001 Prof. Hindel founded Method Park. Under his leadership Method Park received several prices i.e. : TOP JOB (2004, 2008, and 2011), IHK Founders Award 2005, Bavaria’s Best 50 (2006, 2007, and 2009), Great Place to Work (2009). In addition Prof. Hindel is a Lecturer for Software Engineering at the University of Erlangen in the years 2004 to 2011 he was also a Lecturer at the Auto University of Volkswagen as well as at the University of Augsburg and Würzburg. Bernd Hindel is the founder of the ASQF e.V. (Association for Software Quality and Training). He was President of the ASQF from 1996 to 2007. Prof. Hindel is the founder of iNTACS e.V. (international Assessor Certification Scheme for SPICE Assessors). He was President of iNTACS from 2003 to 2005. As a member of DIN Institute, Prof. Hindel was the chairman for Software and System-Engineering Standards and the head of the German Delegation to ISO/IEC JTC1 SC7. From 2006 to 2009 he was the German representative at the Working Group responsible for the definition of SPICE (ISO/IEC 15504). Prof. Hindel has been Keynote Speaker and/or Organizing Chair of many international Conferences on Software Quality, including the “World Congress on Software Quality”, Munich, 2005 and Shanghai, 2011. Prof. Hindel published numerous papers and books on software engineering. Currently base in VW China as Leader of Team Smart Quality for building up the Software Functions in Region China, ex. Quality Management Software, Car Security, Software Supplier assessment, etc.